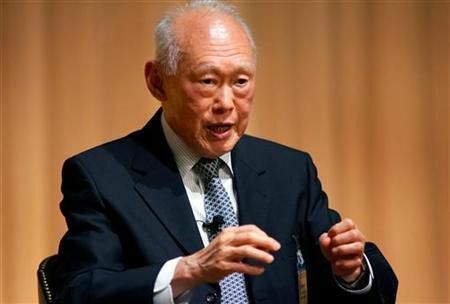 Lee Kuan Yew，former prime minister of Singapore， died at 3:18 am on Monday at the age of 91， according to a statement released by the Prime Minister's Office on Monday. 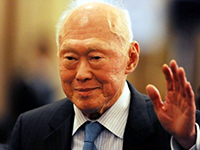 Lee Kuan Yew, former prime minister of Singapore, died at 3:18 am on Monday at the age of 91, according to a statement released by the Prime Minister's Office ( PMO) on Monday. Lee, a Cambridge-educated lawyer, is widely credited with building Singapore into one of the world's wealthiest nations on a per capita basis with a strong, pervasive role for the state and little patience for dissent. 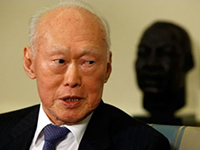 He co-founded the People's Action Party (PAP), which has ruled Singapore since 1959 and led the newly born country when it was separated from Malaysia in 1965.